I’ve been using social media in my own business since 2008 and have seen great results. Because of this, in early 2011 I was asked to develop a short presentation that I could take to local networking groups in the South East. I developed my ‘more time and money via social media’ presentation and throughout 2011 delivered this in Surrey, Kent and Essex to several groups in each region. I also delivered it to a local group in Marbella, Spain as well. The presentation was well received and generated a lot of interest in the business use of social media as people had a lot of misconceptions. 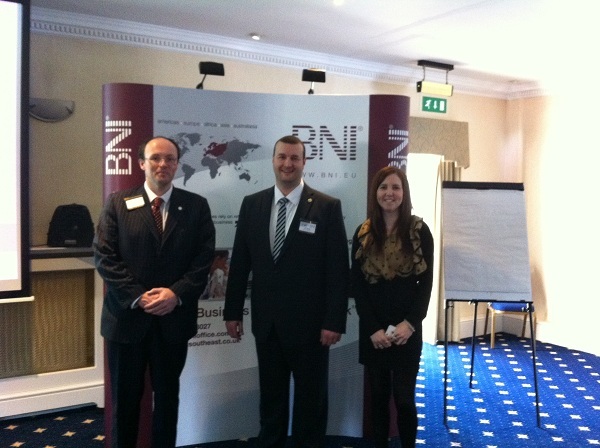 The presentations ran in each of the three regions, starting in Kent where we had over 100 attendees. Our meeting even came to the attention of the groups head office in the USA and was shared via social media. My core business is specialising in helping self-employed people pay less tax and avoid fines. With my experiences in social media, networking and growing a business from scratch these skills are additional benefits I can share with clients.